Today the Game Developer Conference in San Francisco, Google showed off its brand new game streaming service. 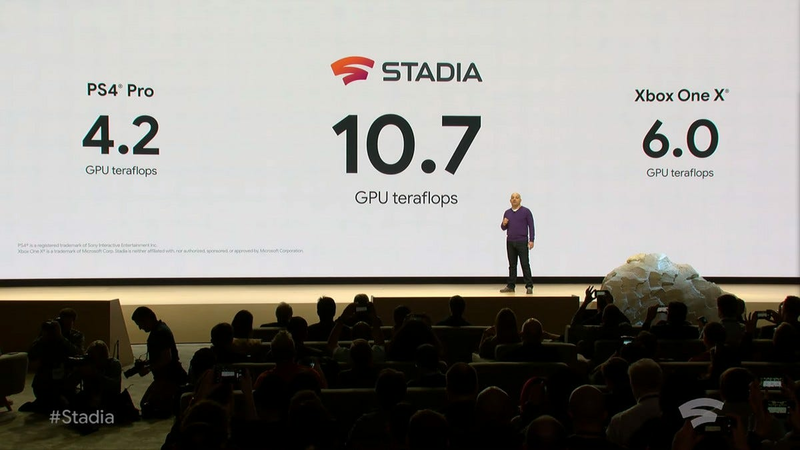 Stadia (as in the Latin plural of “stadium”) will be available everywhere that Chrome is: PCs, phones, tablets, and televisions, with current hardware. Google gave us a preview of its system with Project Stream last year. But Stadia is built from the ground up for both streaming and sharing. The service will stream games at up to 4K resolution at 60 frames per second (depending on your connection, of course), with even more resolution and speed planned for future upgrades. 8K and 120 FPS support is on the roadmap. At any time players can move the game they’re playing from one device to another, without canceling out or losing progress. And a constantly-running stream of gameplay can be shared to YouTube at any time. The service works on anything that can run an app, including low-cost Chromecasts—the demonstration TV was using a Chromecast Ultra. Google’s new platform is indeed, a platform, not merely a series of virtualized Windows PCs as seen on services like OnLive or GeForce NOW. The backbone gives developers an x86 Linux instance running the Vulkan graphics API, with processor and GPU hardware twice as powerful as an Xbox One X or PS4 Pro (so about the same as a high-end gaming PC). Developers can even get the system to run on multiple GPUs if the game requires it. What about controlling these games? The system will work with existing “USB controllers” according to Google’s Phil Harrison, as well as standard mice and keyboards. 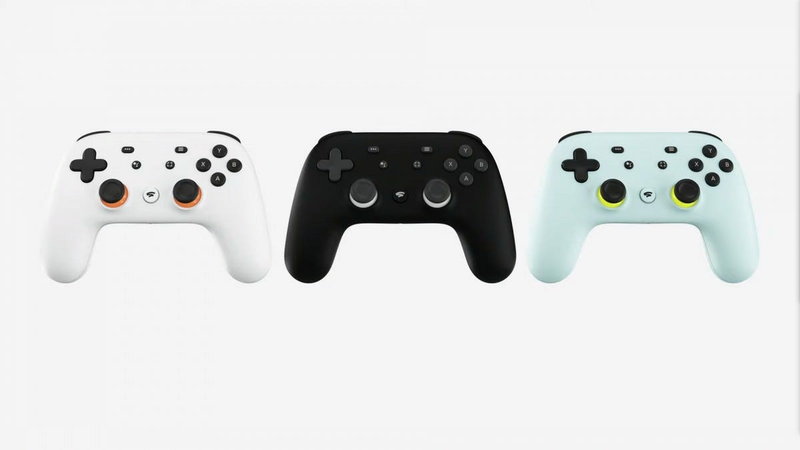 But Google is also releasing a dedicated Stadia controller. It looks more or less the same as a standard Xbox controller, with additional buttons for sharing to YouTube and activating the ever-present Google Assistant. But it’s hiding a new trick: it connects over Wi-Fi, not Bluetooth. 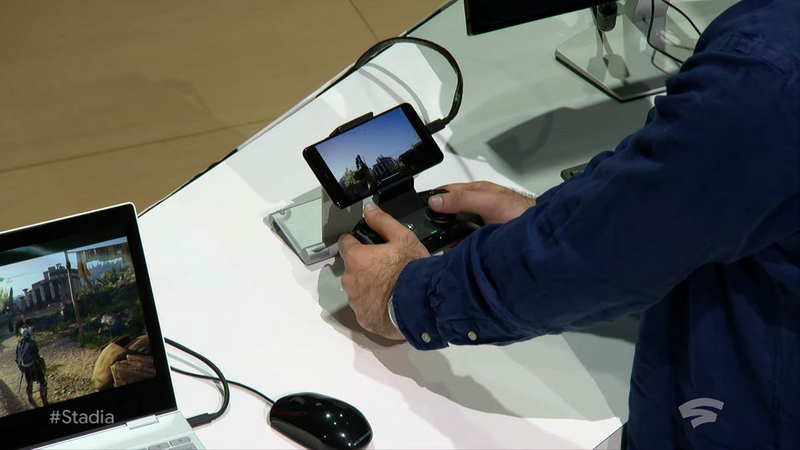 This allows the controller to connect directly to Google’s Stadia services, controlling the game over the network without a laggy display device in the middle. It’s a big difference to an apparently static design. Google’s 100% cloud approach includes some incredible capabilities. Players can click an ad link on YouTube and start streaming that game in a few seconds. Multiplayer games can use multiple Stadia instances to perform local split-screen with no slowdown, or power interactions with huge amounts of players in new ways, like streaming different viewpoints inside a game world controllable via a YouTube viewer. Players can share video live, or even the state of games themselves for other players to jump into their own instance at any time. All games will have multi-platform capabilities available to developers, including save and progress syncing. 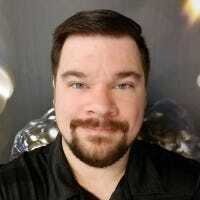 A with any game platform, Stadia will live and die on the games. As cool as the platform is, Google needs the support of huge publishers and developers to bring games people actually want into the service. 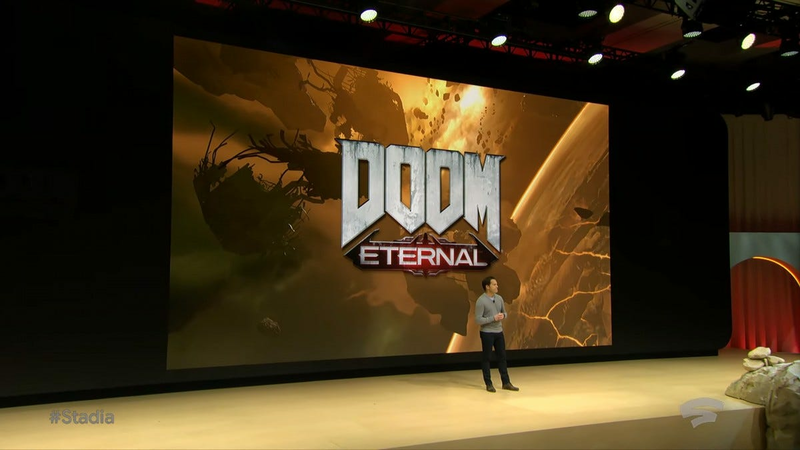 Google showed off partnerships with some big names like Ubisoft and Bethesda (who said that the upcoming DOOM Eternal was already running on the Stadia platform) but was a little cagey on any other big announcements specific to games or developers. But that’s not all. Google is also a publisher now: Stadia Games and Entertainment will publish its own games, just like Sony, Microsoft, and Nintendo do for their respective consoles, and it’s being headed by Jade Raymond, formerly of Ubisoft and EA. 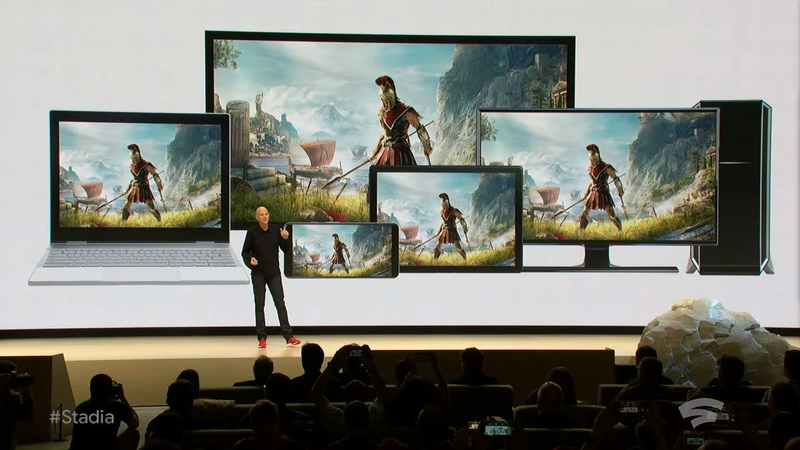 Stadia will have exclusive titles, all of which have access to Google’s wide suite of cloud tools. 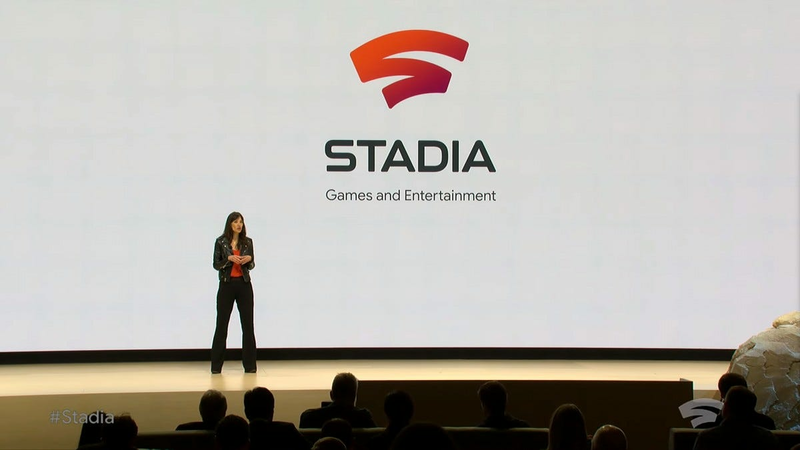 Make no mistake, with an attack on hardware, service, and content fronts, Stadia is a no-holds-barred invasion of the gaming industry as we know it. When can you try game streaming with Stadia? Google is being a little tentative on that point. The service will come to the US, Canada, the UK, and western Europe sometime later this year. Google’s presentation said that there would be more information available in the summer, so it’s reasonable to expect either a beta program or a full launch in the fall or early winter. Pricing for Stadia, and whether it will be a subscription service, sell games a la carte, or some combination of the two, was not addressed.